Are you and your team organizing an upcoming St. Patrick's Day running event? Make sure you got it all covered down to the giveaways and this custom running hat makes the perfect token for all the participants. 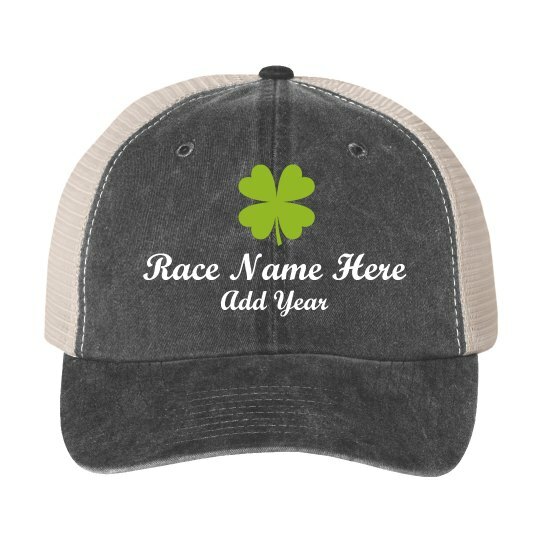 Customize a St. Patrick's Day marathon event hat in a matter of minutes in our easy to use design center and order as many as your event needs.